I know it's not officially winter yet, but when I was taking these photos is was freezing. 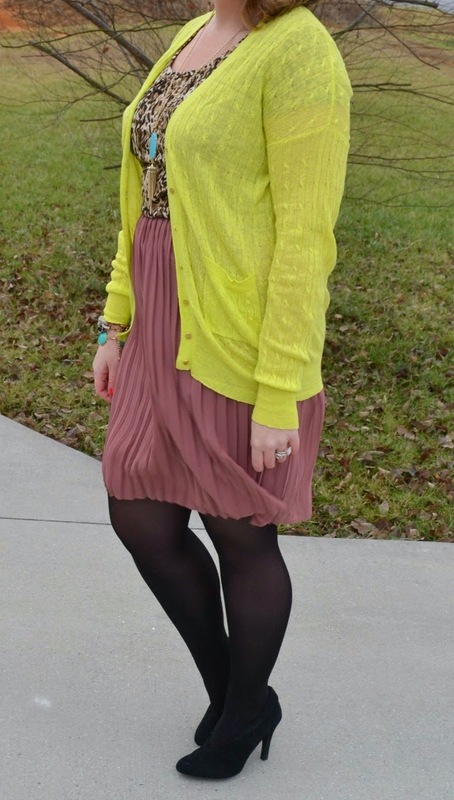 There's nothing better (in my opinion) to warm up an exceptionally cold day than to throw on some warm-weather colors. 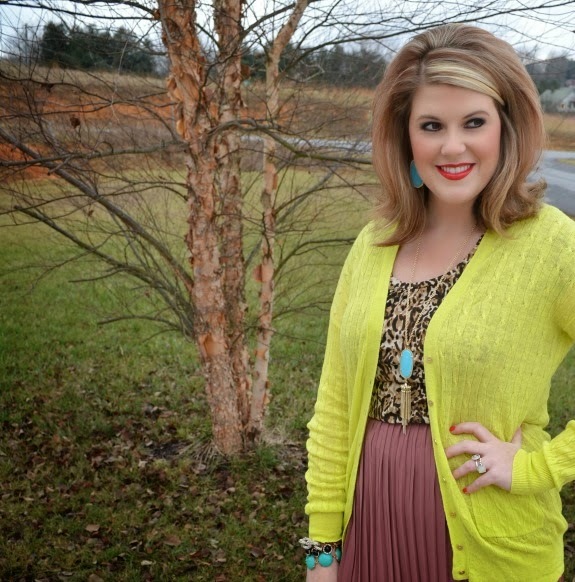 For this outfit, it was all about a neon cardigan and Kendra Scott jewelry. 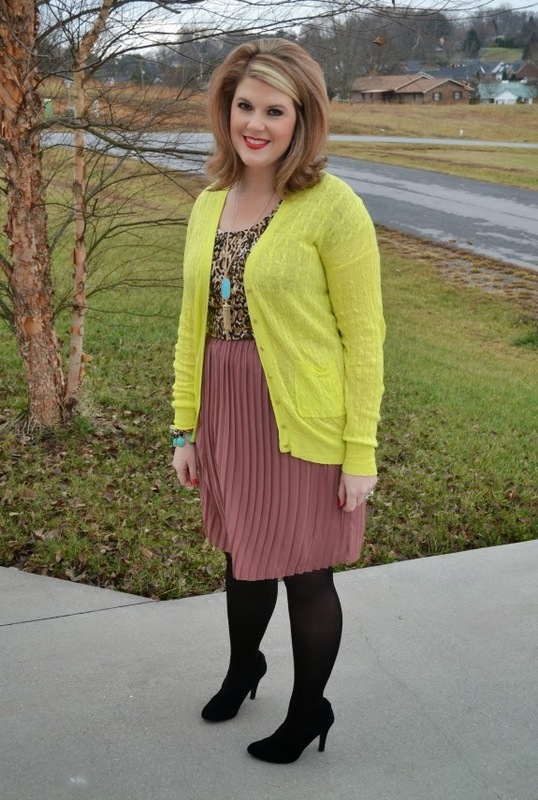 Today's post is part two in my holiday collaboration with Reeds Jewelers. 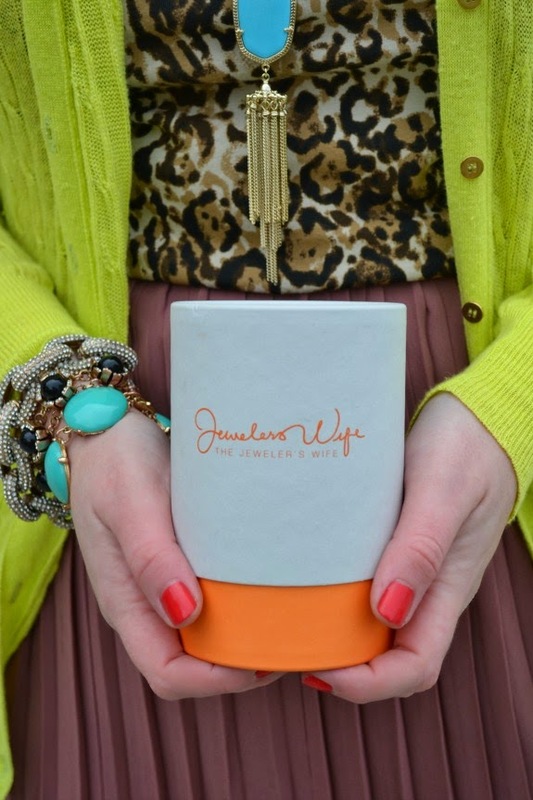 Reeds has recently launched a fashion jewelry site, Jeweler's Wife, featuring beautiful pieces from Kendra Scott, Loren Hope, Michael Kors, and more. They offer free shipping on all orders (no minimum!) and you can use the code JW1030 to get $10 off your purchase of $30 or more! 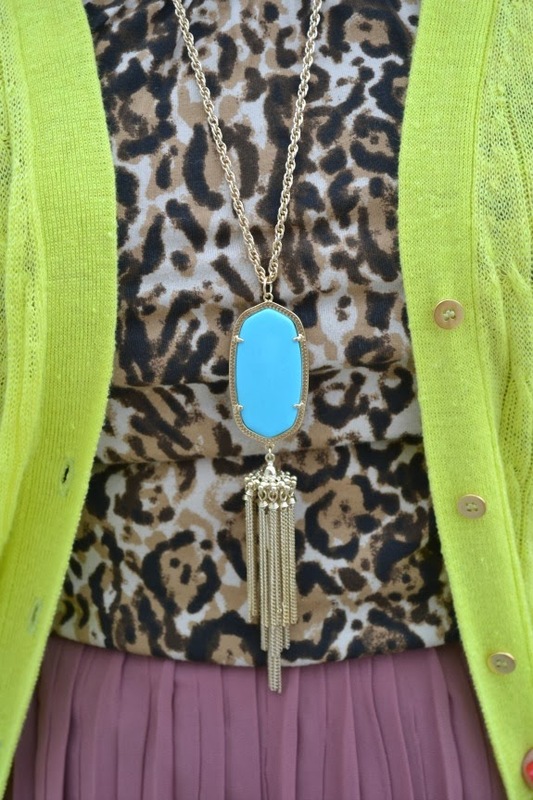 I love the pop of color these turquoise gems add to this outfit. And if you follow on instagram, you know how much these pieces have been in rotation lately. Nonstop. Read on for more photos and something for you at the end! 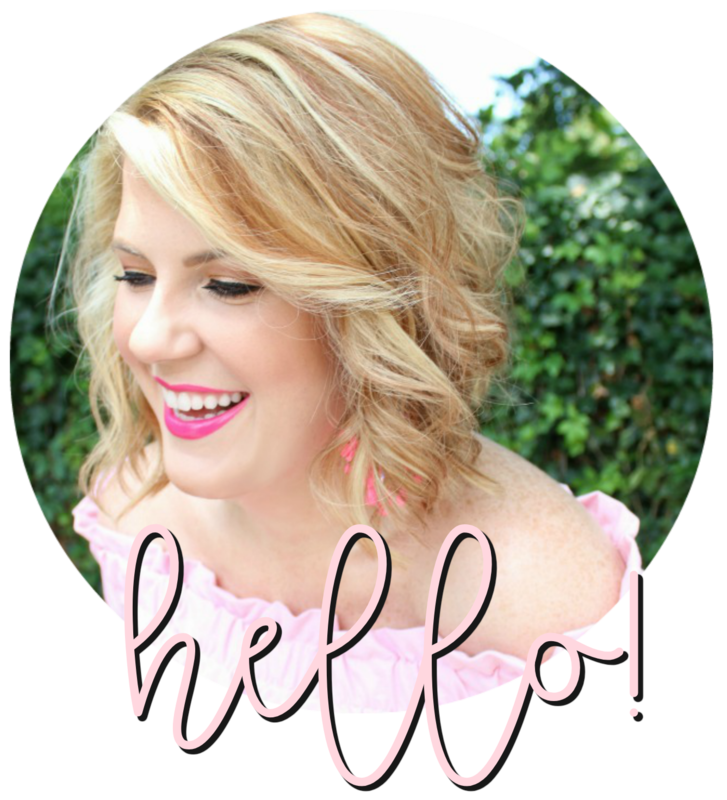 The Jeweler's Wife is graciously offering one lucky reader both Kendra Scott pieces featured in today's post! Simply follow the steps below to enter! That necklace is BEYOND! Fingers crossed I win!!! How exciting! 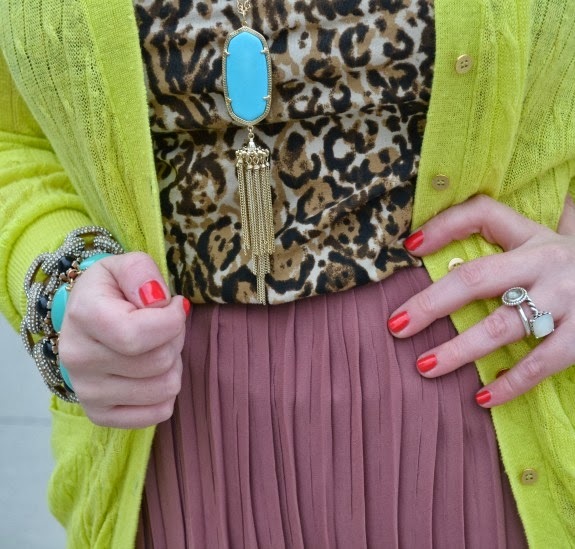 I love the jewelry and the colors you paired it with! Also...did you see that Jimmy Fallon AND Justin Timberlake are going to be on SNL this weekend?! I'm so excited!